I’ve always been an advocate of having beautiful hair. That’s why I was so excited when Toni and Guy invited me during the the A/W 2014 hair trends at an exclusive pop-up hair trunk show hosted by the Collab Contessa, Dara Roa, and held at the very popular Todd English food hall at SM Aura Premier. The brand partnered up with Toni & Guy Essensuals Salon and we all had an inter-active program that involved getting our hair styled in the latest trends by the salon's top stylists. 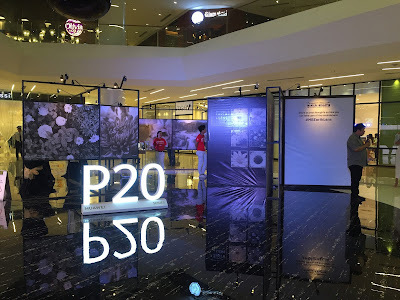 The highlight of the event however was a discussion led by social media beauty maven and Unilever's resident Beauty Expert, Agoo Bengzon, who talked about the significance of Toni and Guy's Hair Meet Wardrobe philosophy. In her words "You can always make a statement with your hair. It is actually your best accessory and it's not enough to be dressed well. One must always be dressed from the hair down to your shoes. That is the epitome of true style." Attendees of the event were beautiful model Tet Villanueva-Escano,entrepreneur Kathy Villanueva, charming yogi Patty Poniente, Sonja Ocampo of Cupcakes by Sonja, socialite Clarisse Chiongbian. Toni &Guy has been making waves since the cutting edge hair care range was introduced to the Philippine market last year and it looks like they will continue to take the lead in hair innovation. Whether your style is Glamourous, Casual, Classic or Creative, there's definitely a product range that can suit your personal style philosophy. 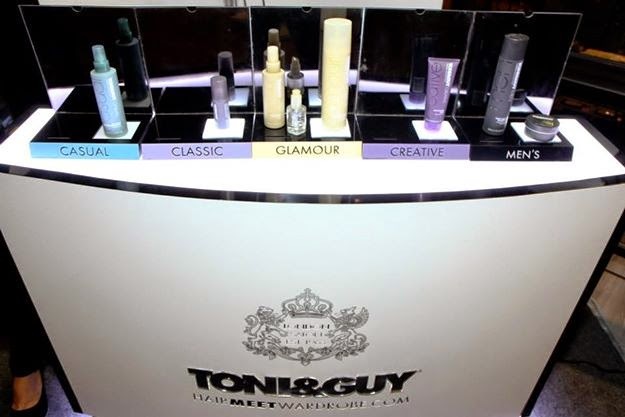 Toni and Guy products are available at select Watsons and SM stores nationwide. Like toniandguyPH on Facebook and follow @hair_wardrobePH in Twiter and Instagram to get fresh off-the-runway hair trends.